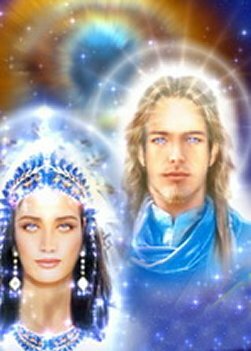 On May 4th, 2011 we were honored with the energies of Elohim Masters Hercules & Amazonia along with Archangels Michael and Faith as they shared their teachings, light, and expressions of Oneness toward us. We journeyed to the Golden City of Gobean which is in the Etheric realm of Gaia over Arizona and New Mexico. We were taken to a beautiful crystalline structure and experienced the essence of this amazing city. The following is the background material I shared on the call along with a decree I wrote for the energies. You can utilize this decree as often as you would like and it will help to create the Ray of Personal Power and Will to be infused within your Throat Chakra on a Cosmic Level. The audio is available when you click on the tab shown at the top, “New Earth Circle of Light~Audio” and the written transcription will be up in a few days. Join us on Wednesday evenings at 8 PM EDT, 218.862.7200, 576094# or via SKYPE “catdmeler”. Just make sure you send me a note that you are joining the call if using Skype. Elohim Masters Hercules and Amazonia. I call upon Archangels Michael and Faith. 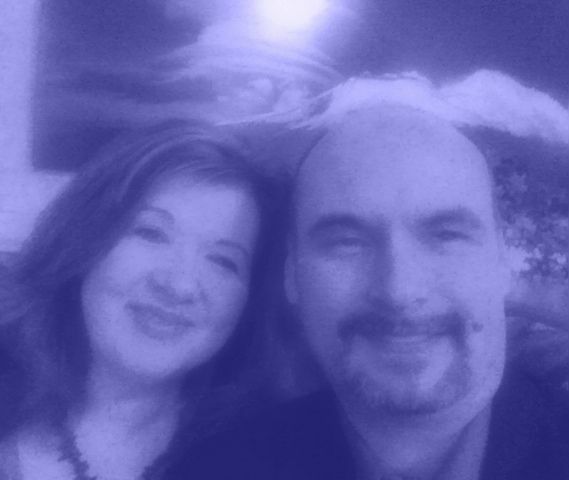 The Elohim and the Archangels of the Blue Flame. I am firm, secure, powerful , protected and incorporate faith in each moment of my Creation. In the Oneness that We Desire. I Am that I AM that I AM! This week we will continue with the energies of the 1st Ray of Will and Power centering upon Elohim Masters Hercules & Amazonia and Archangels Michael and Faith. I am getting a sense that the Team truly wants us to feel each of these cities not just in the environmental conditions they exhibit to our mind’s eye but the deepness of what being part of the working energies of the cities. Master El Morya fully overlights the entire city with his energies of the Bridge to Freedom but the deep core work will be with the Elohim Masters and the Archangels. The Elohim Beings walked this earth during Atlantis and Lemuria and were with us. So it is not just a message of what they bring forth to us but the inner workings of their teachings. 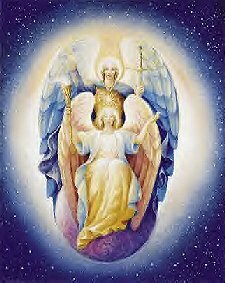 In addition the energies of the archangels are going to allow us to exhibit the qualities that they embellish to others within the heavens and the planetary levels. This call is not just about the energies of the Golden Cities; it is about each of us becoming more aligned with the Masters and finding our place amongst them, their teachings, and our inner connections from a soul’s purpose. You will find that the call will assist in bridging the gap between humanity and spirituality as we fully come together as One Family of Light. In the past two weeks we have been challenged once again. First, Sai Baba left the planet with the essence of great love and we experienced that energy in the Temple of 911. This past week it was OBL and great fluctuations of emotions have been exhibited of the darkness that he embodied. As Archangel Michael exhibited in our Clarion call this week, it is a time of complete balance of all levels of our emotions and thought processes. This is only the beginning and it is going to be more intense as time moves forward. With each passing full moon, we fully are going to be accelerated and tested at the same time. It is imperative for each of us to fully ground these ascension energies more fully physically than we have been able to do previously. The Hierarchy is assisting this with the transformation of our energies so that we can fully be the conduits of love and expressions of continuancy of life. Humanity is acting out with all of these changes and we are the ones that need to assist as much as possible. The Wesak Moon is May 17th, 2011. As most of you know I will be doing a ceremony in Cape May, NJ but the Hierarchy is asking me to do a special ceremony in two weeks, May 18th, 2011. We will be in the midst of the full moon energies so the call will be overlighted by Lord Buddha and Sanat Kamura. I think it will be a very special call indeed. Hercules and Amazonia, his twin ray, accepted the responsibility from Helios & Vesta to create Planet Earth out of primal life essence in representing the “WILL TO DO”. They represent the mighty blue flame of strength, power along with the Will to Do. They bring forth to initiates protection, strength, and power along with their assistance into their world and affairs as no Force opposes Hercules. Hercules is the Elohim of DECISION. Without the Will to Do there cannot be any accomplishment. He is known for his power and strength and Amazonia is also very powerful. When energies are not available through the outer self, calling upon Hercules and Amazonia will assist in the process. Archangel Michael, as most of us know him well, is the Archangel of Faith and Protection. He is the Director of the Angelic Kingdom and representative of the First Ray. He works with assist souls finding the right balance whether in or out-of-body helping anyone in distress who desires his help. Michael accompanied the First Rootrace as their guardian. He touched the ground first as it was the designated task of the angelic kingdom to guard and nourish the spiritual nature of mankind and is still doing so to this day. His temple is located in the Canadian Rocky Mountains in the vicinity of Banff, Alberta. He and his legions continue to guard, protect, and serve mankind. 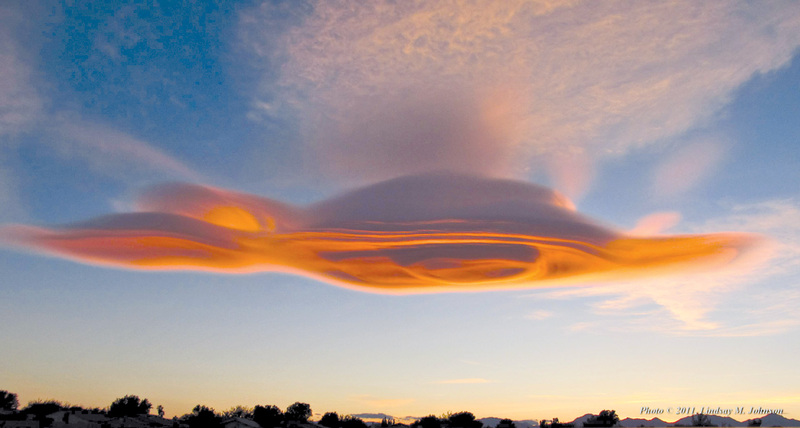 They work with releasing massive energies known as entities or accumulated energy of tremendous size. Michael is also known as the Angel of Deliverance. His service to America started in 1938 by allowing students the dominion of the use of the Sword of the Blue Flame and his shield of protection. He also assists students in discriminating between true and false channels. Archangel Michael is one of the greatest friends that mankind has ever had. Archangel Faith embodies the God quality of faith, which resides within every human heart. Faith in God should be the constant state of One’s Being, every second of eternity. Faith is the substance of all things hoped for and the evidence of things unseen. It is a quality to be cultivated. Conscious cooperation with and complete faith in the power of one’s Higher Self is mastery. This entry was posted in 5th Dimension, Archangels Michael & Faith, Ascended Masters, Ascension, Channeling, Elohim Masters Hercules and Amazonia, God Force, Lightworkers, New Earth, Vibrational healing and tagged 5th Dimension, Archangels Michael and Faith, Ascended Masters, Ascension, channeling, Elohim Masters Hercules and Amazonia, Golden Cities, Lightworkers, New Earth, Vibrational Healing. Bookmark the permalink.